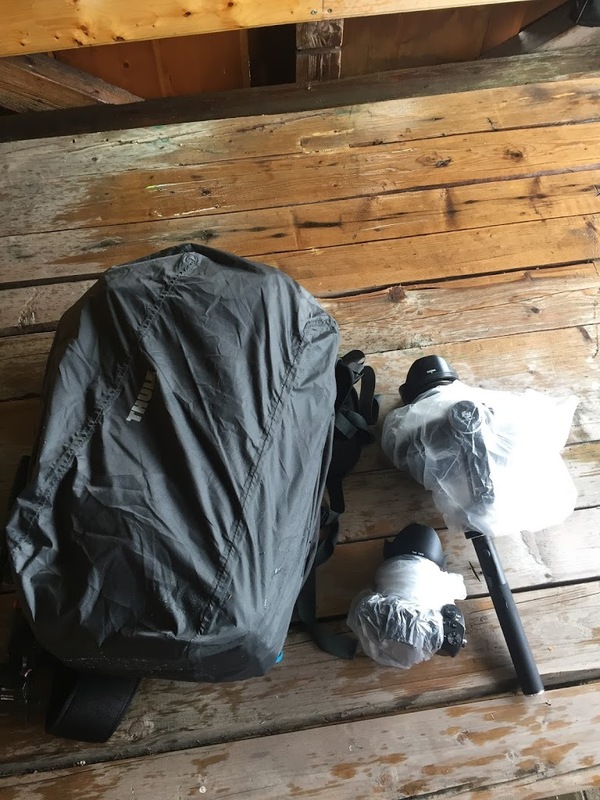 In my first post, I explained how I'd gone about preparing to shoot a daily vlog for Red Bull athlete, Paul Guschlbauer as he competed in the Red Bull X-Alps. In Part 2, I'll explain how it all went down. It's now July 2nd, the first day of the race, and the athletes are all gathered in Mozartplatz in the middle of Salzburg. The weather is horrendous; torrential rain, high winds; annoyingly chilly. My assistant Jamie and I are sheltering in the media bus, a Red Bull branded double-decker with DJ decks and flat screen TVs, of course. I'm busy wrapping a plastic sandwich bag around my Sony a6300 and Feiyu MG stabiliser in an attempt to keep the rain out. This wasn't how I imagined the first day to be as I wiped yet more condensation off my camera lens. At the top of Gaisberg on day one. (left) Thule backpack well covered... not sure about the cameras. (right) Me and Werner, soaking. 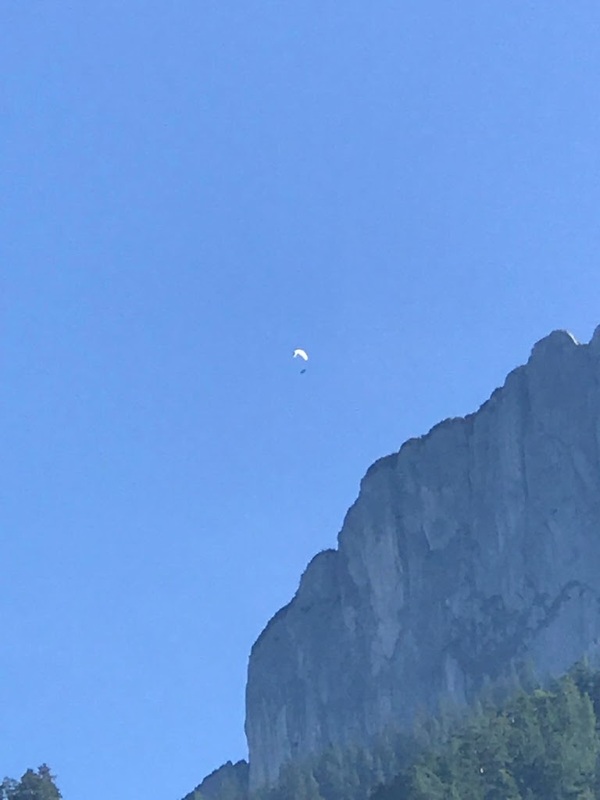 Bad weather in a race like this means the athletes can't use their main mode of transport, the paraglider, and their only option is to run. The next Turnpoint? Triglav in Slovenia, about 250km south of Salzburg. That's a long way on foot and there are some big mountains in the way. Also, in terms of content for the Vlog I was making, a running race just isn't as interesting to watch either. I'd underestimated how long it would take to gather and copy all the video footage as the other members of the team were also filming things and this meant multiple cameras (DSLRs, action cameras, smartphones) and therefore different memory cards and cables for each. I'd also underestimated just how long it would take to upload the videos to YouTube and post across the social media channels - it was taking no less than an hour and sometimes up to two hours. I was really glad to have the new MacBook (Jamie's) to work with in FCPX, it was much faster than mine. However, my older MacBook was faster at copying files simply because it had a built in SD card reader (the new MacBook only has the USB-C ports). I was very happy I'd spent so much time choosing and downloading music before the Vlog started, this would have added considerable extra time to the workflow. Luckily, the weather cleared up on the second day of the race and Paul was even able to fly. This made life much easier in terms of filming - no hassle with equipment getting wet! 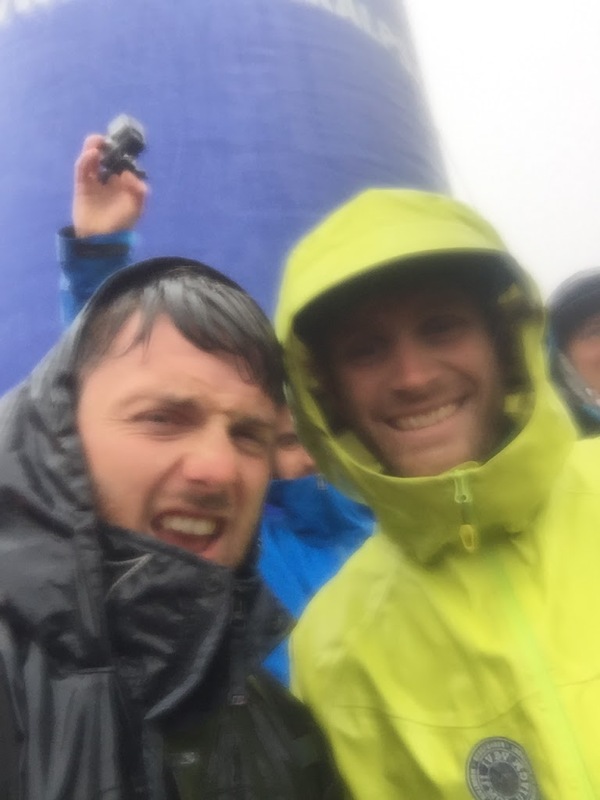 From then on, it was a hectic combination of chasing Paul through the mountains, filming what we could during the day but relying on Paul and his supporter to film the rest while they were running and flying. 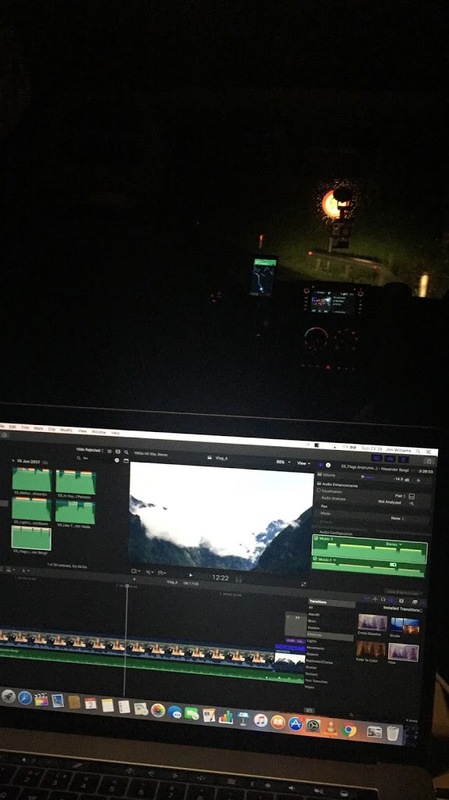 Then meeting the team in the evenings when they finished for the day, gathering all the footage, downloading it, and beginning the editing process. Waking up early, finishing off the video, and uploading it as quickly as possible, usually with a bad connection so it would take a painfully long amount of time. Then setting off again to chase Paul! Here's a behind the scenes video showing the best bits of the trip and also an explanation of my gear and workflow. It's totally possible to operate on about 3-4 hours sleep each night (Red Bull also helps) but 10 days of doing this was basically my limit. I needed about a week afterwards to recover. Even though it was hard to stick to, having a routine certainly helped - wake up, coffee, finish the vlog, publish it, post to social media, film all day, collect memory cards, download, back-up, have dinner, edit until passing out... repeat. Less is more - we had a small crew, just myself and my assistant Jamie (and he had to leave after one week) but this played to our advantage - more efficient, more space, less people to worry about, less distractions. The same rule applied to gear - everything we took was small and lightweight without compromising on quality (see Part 1 for the full list). Please get in touch or leave a comment if you have any questions at all! Next Next post: VLOG 20 – GLACIER SKIMMING!